Many users are not aware that a printer needs to be used fairly often to stay in proper working order. Most printers are designed for fairly consistent use, and lack of use can cause problems. At the same time, overuse can also lead to problems, so it is important to choose a printer designed to handle the volume you plan to use it for. It may seem that using a printer too little would not be an issue, but some of the parts can begin to exhibit problems when unused. 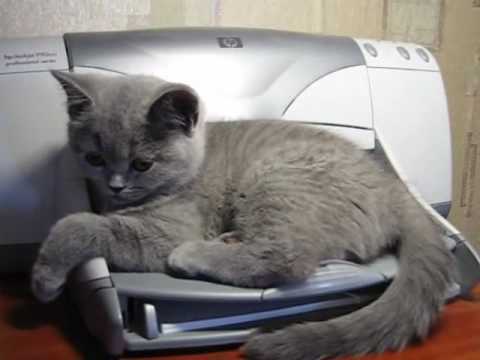 If your printer gets more use as a bed for your cat than printing off documents, you might be at risk. The most sensitive part of a printer is the cartridge. The cartridge is sensitive to moisture, heat, and dust from the time it is opened, so the longer a cartridge is in use, the more exposure it has to these three elements. After sitting unused for long periods of the time, the ink or toner can gum up or become clogged. T his is particularly the case with a home inkjet printer, that doesn’t get a lot of use. Replacing a cartridge often alleviates this problem, but a printer that is not used frequently may not have its cartridge replaced often enough. Inkjet printers and inkjet cartridges can have the same problem. 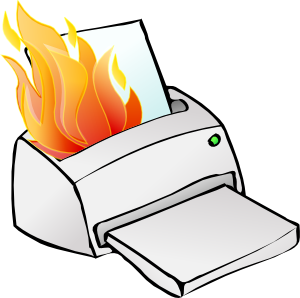 Offices that use a printer very infrequently, especially those that generally have a very small print volume, can sometimes have a problem. For example, if a small office uses a printer whose printer toner cartridge is rated for 10,000 pages for only 1,000 pages a month, users will likely go 10 months between changing toner cartridges. In this amount of time, the moisture, heat and dust are likely to take a toll on the cartridge, and it may start to malfunction before all the toner has been used. It would be advisable that an office of this size find a smaller printer with a smaller cartridge. For example, the Dell 1320c printer has cartridges that last only 2,000 pages each. This would mean that the office would typically need to change the cartridges every 2 months. On the opposite end, it is certainly possible to use a printer too much. Manufacturers often provide two numbers that buyers should pay close attention to: a maximum monthly duty cycle and an average monthly duty cycle (sometimes called the recommended monthly volume). You can find these numbers on the manufacturer’s website, or in the manual for your machine. For example, a printer may have a maximum monthly duty cycle of 30,000 pages and a recommended duty cycle of 10,000 pages. For the best results, it is recommended that users keep their monthly volume under the recommended duty cycle for most months of the year. Overuse can lead to problems like overheating, plastic pieces becoming brittle and breaking in the machine, frequent paper jams, and other issues which can degrade the life of the machine. When shopping for a printer, you should take a close look at the recommended volume, and choose a model that fits your expected needs. By making sure you match a printer to your typical printing volumes, you can extend its life and save yourself money by not having to replace the it prematurely.